Tools are the main components in forging applications which has a direct influence on the quality of the product as well as total production cost. Besides achieving desired part tolerances, it is aimed to keep tool life as high as possible to minimize tool costs. 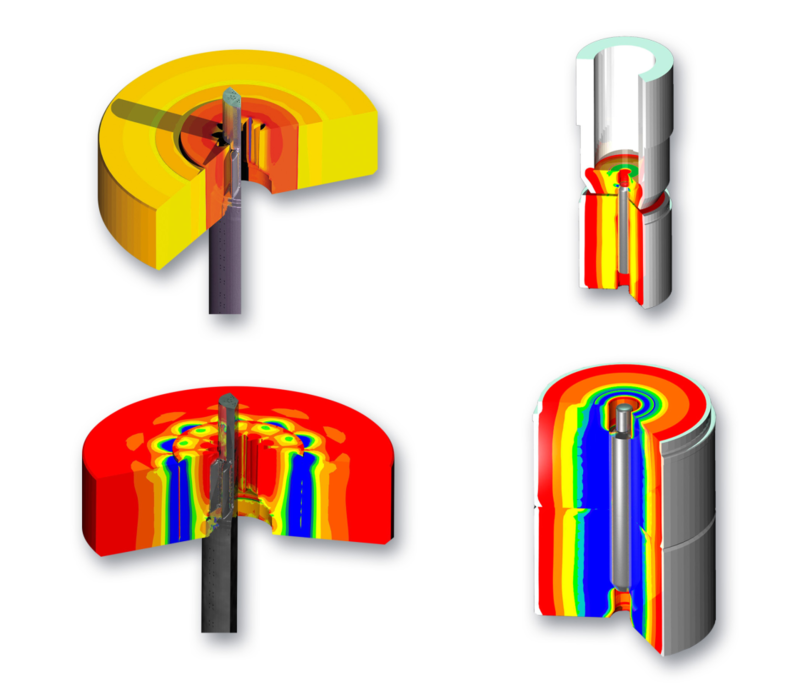 With the utilization of finite element simulations, we design, analyse and optimize tool design to maximise tool strength and tool life. We also analyse tool failure problems of existing tools to investigate the root cause and work out alternative solutions to prolong tool life. Design of supplementary tool components, e.g. punch, kick-out pin, spacers, springs, etc.